The Journal of American Institute of Architects have announced the winners in their 2015 R+D Awards. In the online articles describing the projects, two winners described how they used Rhino and Grasshopper in their design process. 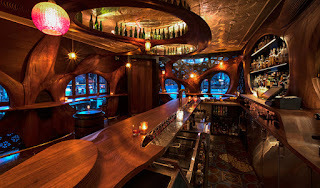 The Award for Bar Raval in Toronto, by Partisans, is noteworthy for its curves and its reminiscence of Gaudi. 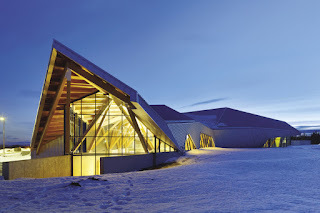 The other, a Citation for Philip J Currie Dinosaur Museum in Wembley, Alberta, by Teeple Architects, goes the design direction of angles. Both are beautiful projects, deserving of their recognition. Besides, what's not to like about a bar and a dinosaur museum?